In the last 3 years of my journey to eliminate toxins from my home and DIY the majority of my personal care products, bath bombs have ultimately been the most challenging item to master. I’ve seen recipe after recipe on Pinterest of bath bombs, and they all share one commonality: they didn’t turn out and they left me feeling more aggravated than before. 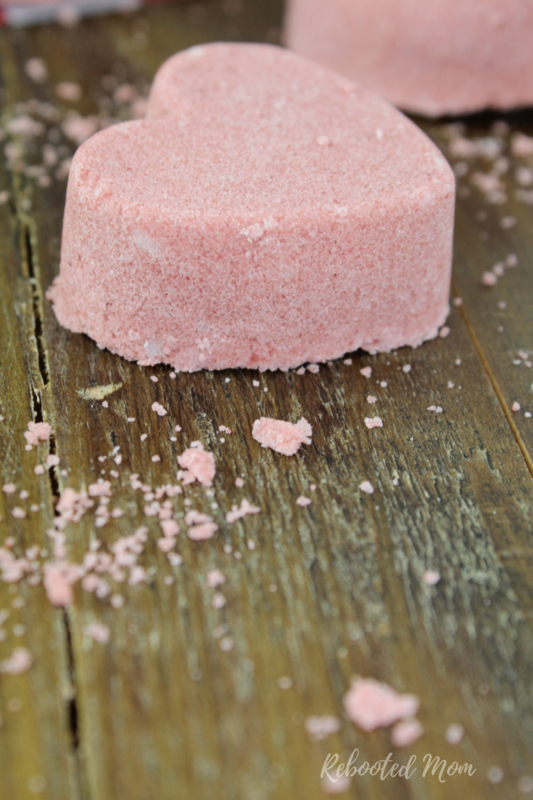 If you have yet to make bath bombs, I’ll admit – they can be quite a challenge. Even the most tiny amount of water causes the citric acid to bubble out and react, thus spreading out of the molds and all over your counter. Let me tell you just how easy these were – I made them while making my kids eggs for breakfast. I pulled them out of the mold when I was making lunch for them the next day. The hardest part was actually waiting 24 hours for them to harden. These bath tombs would be great for Valentine’s Day wrapped up beautifully and attached with instructions on making them – maybe for a teacher? Friend? Family member? But you can really make them any size that you would like. You can pick up the spherical halves on Amazon and make round bath bombs. 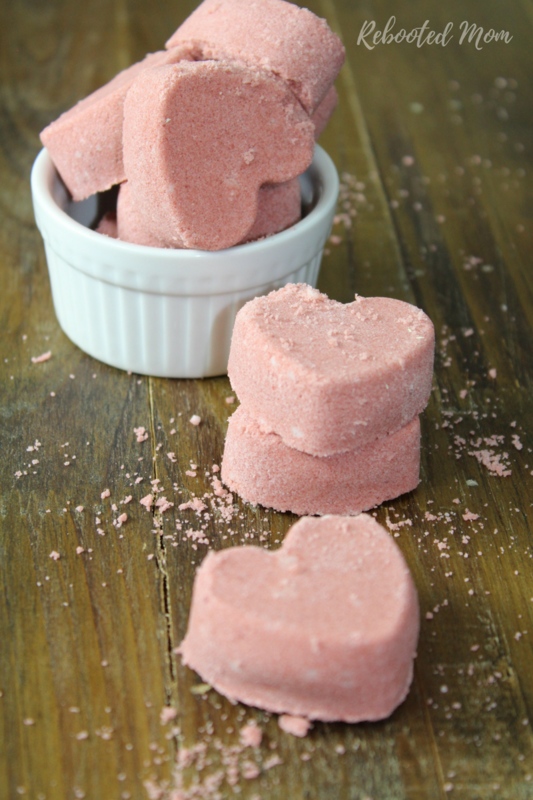 OR you can use heart shaped cookie cutters and mold your bath bombs like that too. Whatever works best for you, given what you have. I use a silicone mold, the same mold that I use to make my Essential Oil Lotion Bars, and my Lavender Chamomile Bath Melts. I mix up, then let them sit on the counter for 12-24 hours to dry thoroughly. Looking for more essential oil recipes? Find 25 DIY’s with Essential Oils – and try everything from lip scrub to bath salts, lip balm, scrubs & more. Wondering what oils we recommend? We love Young Living Essential Oils. 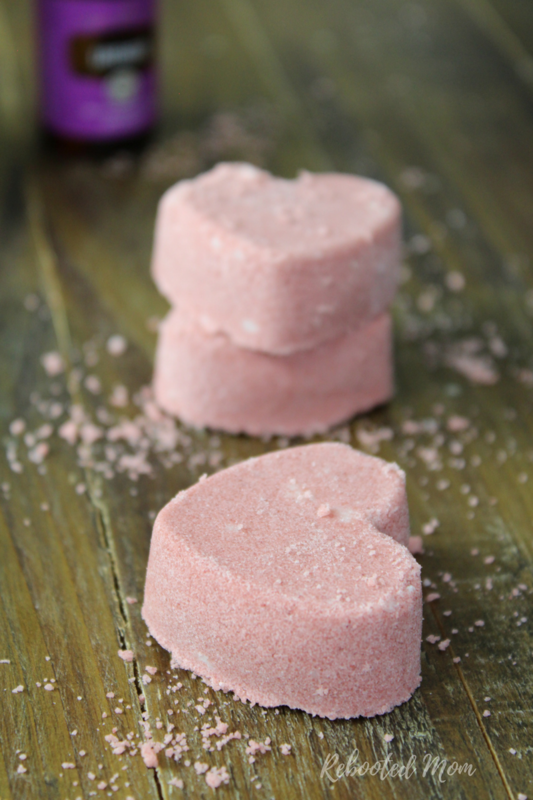 Share the post "Lavender Bath Bombs"